Our goal is to connect people with the best local experts. We scored damage restoration companies on more than 25 variables across five categories, and analysed the results to give you a hand-picked list of the best damage restoration companies in El Segundo, CA. 911 Flood Damage has been an El Segundo damage restoration company for over 40 years. The team is known for fast arrivals, complete water extraction and drying with industry-grade equipment, advanced water detection, dehumidification, thorough disinfection to prevent mold and other pathogens, and deodorizing and sanitizing with eco-friendly non-toxic products. Seasoned crews also handle mold remediation, including for black mold, and will assess, remove, decontaminate, and test. The company handles water damage from washer problems, sewage backups, fire sprinklers, burst pipes, rain leaks, accidental overflows, and water heater leaks and helps with insurance claims for services performed as well. 911 Flood Damage is licensed, bonded, and insured, is certified via IICRC, and is a member of the Environmental Assessment Association. Emergency service is available 24/7. Carpet Cleaning Torrance is located in Torrance, California. The company's team of expert technicians provide a myriad of services that include carpet water extraction, air duct cleaning, furniture cleaning, pet hair cleaning, carpet Scotchgard, upholstery cleaning, carpet repair vehicle carpet cleaning, carpet cleaning, mattress cleaning, and more. Some of the company's other services include commercial carpet cleaning, car carpet cleaning, urine damage treatment, area rug cleaning, fire damage restoration, wood floor cleaning, water damage/water removal, plus more. The company's specialists also provide fabric and fiber protection, sofa cleaning, tile and grout cleaning and sealing, marble cleaning, carpet enzyme treatment, drapery cleaning, and carpet care. The company offers free estimates and quotes over the phone or by appointment for any and all prospective clients. Flood USA is a professional damage restoration company in Gardena, California that serves clients in the surrounding metropolitan area. Available around the clock for emergency situations, Flood USA guarantees a thirty-minute response time to clients' needs. Fully licensed and certified, the company offers a range of services that includes crawl space cleanup, area decontamination, removal of debris, dehumidification, surface and basement drying, removal of damaged carpet, water extraction, and much more. Offering a free estimate on its services, the company also provides clients free moisture checks with its visits. Previous clients praise the company for the professionalism and friendliness of its crews. Modern Wet Carpet, headquartered in Redondo Beach, California, is a professional damage restoration company that serves clients in the local area as well as Torrance, San Pedro, Hawthorne, El Segundo, Manhattan Beach, and Palos Verde. Available around the clock, every day of the week, the company provides emergency services to clients in need. Modern Wet Carpet specializes in the restoration of fire, water, storm, and mold damage and offers clients a free mold inspection as well as free estimates on its services. A complete remodeling company, Modern Wet Carpet has experience working with smoke contamination as well as damage suffered from floods. Silver Toilet Overflow is located in El Segundo, California and offers their services to the surrounding communities of El Segundo, Hawthorne, Gardena, Manhattan Beach, Redondo Beach, Hermosa Beach, and Torrance. The company's experts cater to both commercial and residential properties and provide high-quality water removal, structural drying, demolition, fire damage restoration, and more. The company specializes in mold remediation, storm damage restoration, fire and smoke restoration, and flood damage restoration. Flood damage restoration services are all inclusive, complete with an assessment of real damage, restoration of damage, 60 minute response time, fully insured, licensed and bonded, after renewal, renovating process, and direct billing with the insurance companies of their patrons. The company provides emergency services and offers free mold inspection and free estimates. Torrance Flood Damage offers 24-hour emergency water damage restoration services including cold water extraction, dehumidification services, sanitization, and other drying techniques to residential and commercial customers throughout the area. Services the business offers include carpet cleaning, applied microbial remediation, applied structural drying, cleaning, packing and unpacking, disinfecting walls and ceilings, fire smoke restoration, mold remediation, upholstery and fabric cleaning, and the deceleration and halting of corrosion. Torrance Flood Damage guarantees response times of 30 minutes or less to get its clients’ homes and business back to pre-disaster condition as soon as possible. Zimax Restoration has been providing trusted, experienced services to Manhattan Beach-area customers for nearly 30 years. The full-service company specializes in helping restore residential and commercial properties to pre-loss condition after suffering loss due to storms, floods, and other unfortunate circumstances. Zimax Restoration focuses on performing top-notch water and fire damage cleanup, mold remediation, and much more. 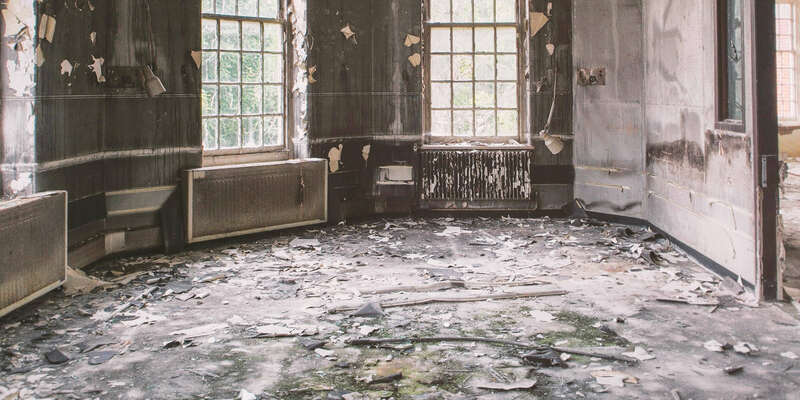 The restoration specialists understand how devastating water damage can be and commit to providing customers with 24-hour emergency responsiveness to prevent secondary losses after an event. Home and business owners can rely on the dedicated, compassionate professionals to maintain a highly trained staff with the skills to handle all aspects of mold remediation and water damage restoration. Certified technicians arrive on-site with the necessary equipment and know-how to accurately evaluate and restore properties in a quick, efficient manner.